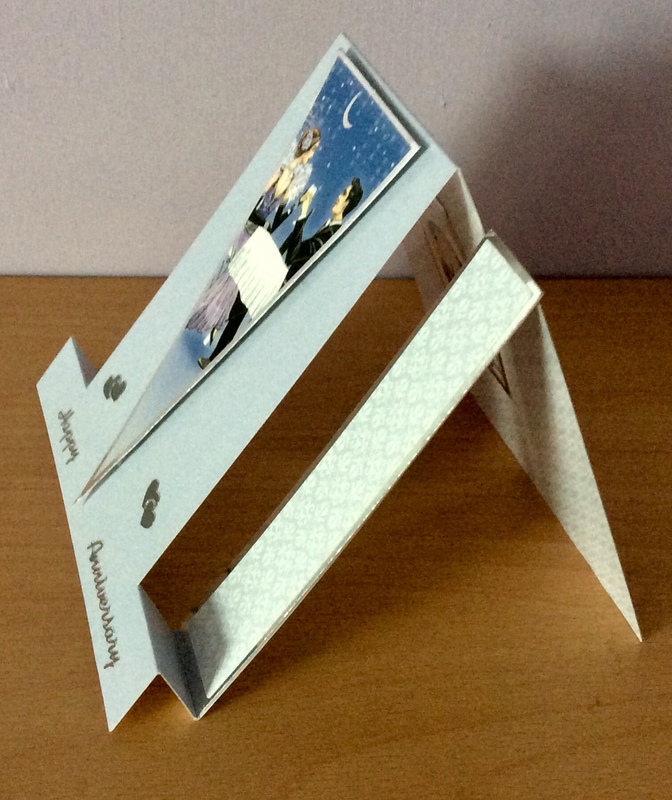 This easel style handmade Anniversary card is perfect for any special couple. The printed card has an Art Deco theme, showing a man and woman in vintage style clothing enjoying a glass of champagne. The decoupaged illustration is trimmed in silver matching the Happy Anniversary greeting and love heart decorations. 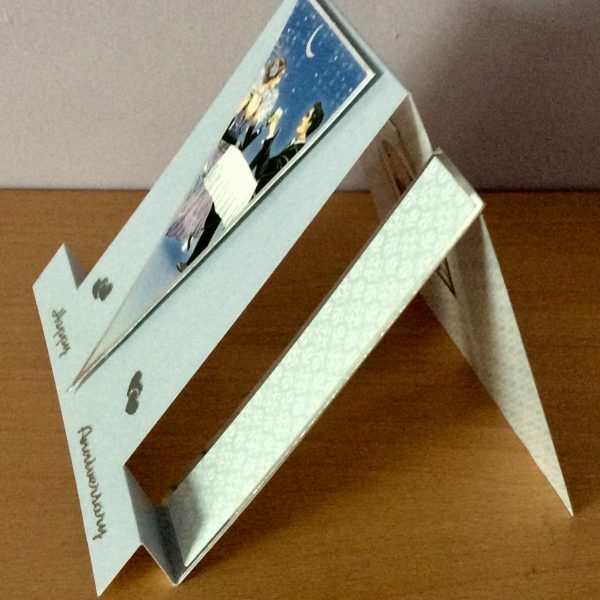 The greeting inside the card reads “Especially for you”, incorporating a matching picture on a printed background.